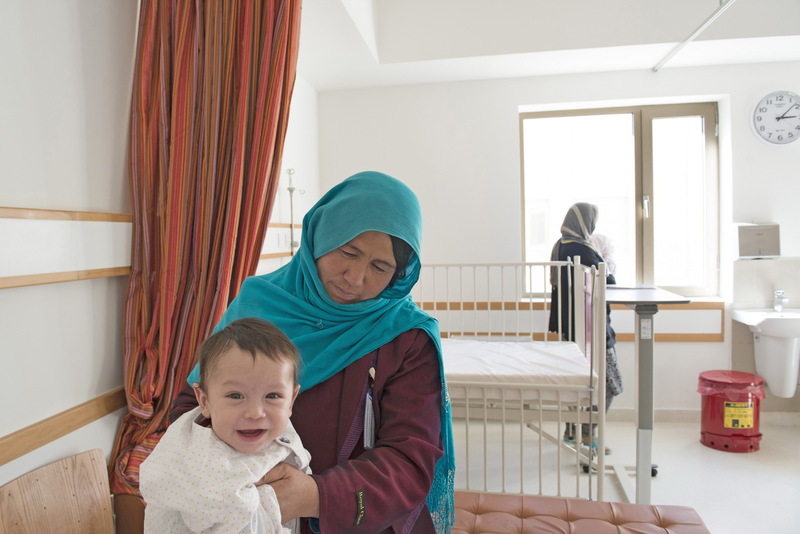 Paediatric services at Bamyan Hospital include a Therapeutic Feeding Unit, a Neonatal Intensive Care Unit, vaccination and TB-DOTS for effective treatment of tuberculosis. Health care in the mountains of Afghanistan can be a challenge, particularly for women and children. Until recently, many areas had only one doctor for every 50,000 inhabitants, midwife training programmes were dormant until the early 2000s and over 90 percent of private pharmaceutical outlets did not have even five essential drugs in stock. These conditions disproportionately affect remote, rural areas, where health facilities are often inadequate or do not exist at all. Through a public-private partnership with the Government of Afghanistan, AKHS undertook the challenge of upgrading the Hospital to meet Afghanistan’s Essential Package of Hospital Services. The old Hospital was upgraded and expanded. New equipment was installed and a stock of medicines was secured. Training programmes for staff started. The staff and services at the Hospital steadily improved, through upgrades to training and equipment under the management of AKHS. Despite these improvements, expansion of the existing Hospital had its limits. Over the course of little over a decade, the number of admissions rose from 1,900 in 2004 to more than 11,000 in 2016. Outpatient attendances increased from 43,000 to 175,000; deliveries from 100 to more than 3,000; and the number of major operations from 150 to more than 600. As a response to the clear need for a purpose-built facility, the local Bamyan government allocated 6.4 acres for a new Hospital to be built on the outskirts of town. Construction began in 2013, led by the Aga Khan Agency for Habitat, which specialises in ecologically friendly and seismic-resistant construction. The new facility cost US$ 22.8 million to build, of which $US 17 million was funded by the Government of Canada.